Here is an oldie but a goodie, written long before the days of blogging. As a student of Canadian History, I have been exposed ad-nauseum to countless mind-numbing texts on Canada’s illustrious history. Now that I am a teacher of Canadian history, I find myself subjecting my students to the same mind-numbing texts. Try as I might to supplement my curriculum with interesting and entertaining anecdotes from our past, the simple utterance of the words “history text” elicit a collective groan that could wake John A. himself. The carefully edited puff-ball versions of Canadian history in classroom texts have all the moxie of Melba toast; about all they inspire is sleep. We Canadians have been lulled into a complacent contempt for our history. We have engineered this indifference through the textual history we provide in the classroom. Last night I turned the final page of Will Ferguson’s book, Bastards and Boneheads, and could not help but feel that Ferguson could be the answer to Melba-toast texts in our schools. Ferguson , “Pierre Berton with attitude,” delivers Canadian history in a factual but witty style. He would be a shot of Jack Daniels in a world of watered-down rhetoric. Ferguson pulls no punches in his version of Canadian history; he clearly defines the negative as well as the positive in the people and events that shaped Canada. A text by Ferguson would certainly be a shift from the feel-good versions of Canadian History available to us today. No longer would Mackenzie King be venerated as one of Canada’s greatest prime ministers. Instead students would learn of his anti-Semitic policies, and that his indifference to the plight of European Jews contributed to the deaths of thousands of people–an act, some would say, worthy of a seat at the Nuremberg trials next to Goering and Hess. No longer would battles on Canadian soil be boring and limited to the Plains of Abraham, New Brunswick, and the Red River Valley. Students would learn of the contribution and sacrifice of First Nations and that they were not simply noble savages or pawns in the struggle for nationhood but an active, vital force in the birth of our nation. Students would learn that the cast of characters who built Canada was diverse and not limited to a select few, whose stories were edited into a version that was fit to print. Canadian history is engaging and interesting if we take it for what it truly is, a ruthless immoral battle in a pit of historical vipers. At the end of Bastards and Boneheads, Ferguson states, “History is a verdict and we are all on the jury.” Let’s give our children the facts in an engaging and honest way and let them judge for themselves. Calling Will Ferguson! Write us a textbook kids will take home and read. Now anyone who has been following me for any length of time on my parenting blog, knows by now that I am not big on self serving behavior especially as it pertains to my children. I feel that it is one of the reasons our world is going to hell in a hand basket in rapid fashion and it is all centered around how we have been raising our children for the past 25 years. To support my rather curmudgeonly and sometimes archaic parenting views, I am always on the look out for publications that reinforce my opinion. 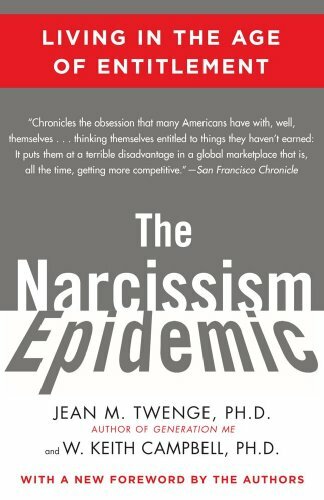 To this end, my most recent acquisition is an excellent book called “The Narcissism Epidemic” and I have to say it is fantastic, painting a scary picture of our future if we continue down the self serving road we are on. Criticized by many, the book hitches it’s thesis on data collected from College Students between 1976 and 2008 and couples it with anecdotal observations about the state of society today. Although it is a tad dry in the beginning, once you hit the Parenting chapter this book starts to strike some chords. It is a smart and well reasoned condemnation of a prevailing notion that we are entitled to feel good about ourselves above all else. I would recommend that anyone with a pulse and a grade 8 reading level give this book a read. The irony is that, the message within this book, will be lost on those who need to hear it the most. Thank you for investing the time to learn more about my new book, Kids Guns & the Truth. I have often been asked what inspired me to write it, with one of the most common questions being whether the book developed from a personal tragedy; thankfully it did not. I have not lost a child to firearm violence nor, as the father of two young daughters, do I claim to know all that there is to know in the parenting realm. The impetus to write in fact came from the recognition that gun safety and education resources, as they related to children, simply weren’t available. I sought to develop a book that would provide that missing material. In the end, Kids, Guns & the Truth was born; a book with the ultimate goal of informing and reminding, in a respectful way, what is important when it comes to kids and guns. In our society there seems to be very little middle ground on the subject of guns. Every person I interviewed for this book from child behaviorists and police officers to, perhaps most importantly, parents, was passionate in his or her opinions about firearms and youth. Some told stories about how firearm violence had changed their lives forever. Others had never seen a real gun and dismissed the fact that a tragedy could ever happen to their family. Despite their backgrounds, all had one common bond: every single person felt that firearm education was critical for the children in their lives.